We’re excited to announce two Winter Savings events at Trade Mark Design & Build! See below for some awesome cabinet savings to help jumpstart your kitchen remodeling project today! 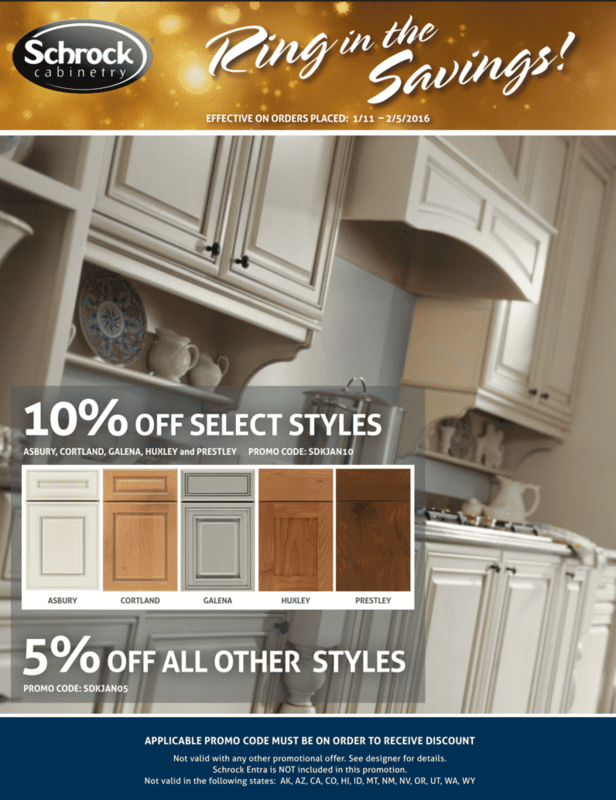 Ring in the savings this year by enjoying 10% off select styles, and 5% off all other styles from Schrock Cabinetry. Schrock’s legacy is built on quality craftsmanship and contemporary design. Founded in 1961, Schrock specializes in handcrafted cabinetry from the heart of Amish country. For a limited time only, we are offering special savings on Schrock products, contact us today to lock in these special rates and to get your project started! Winter is a great time to start your home renovation project, and with our savings it’s now easier than ever! 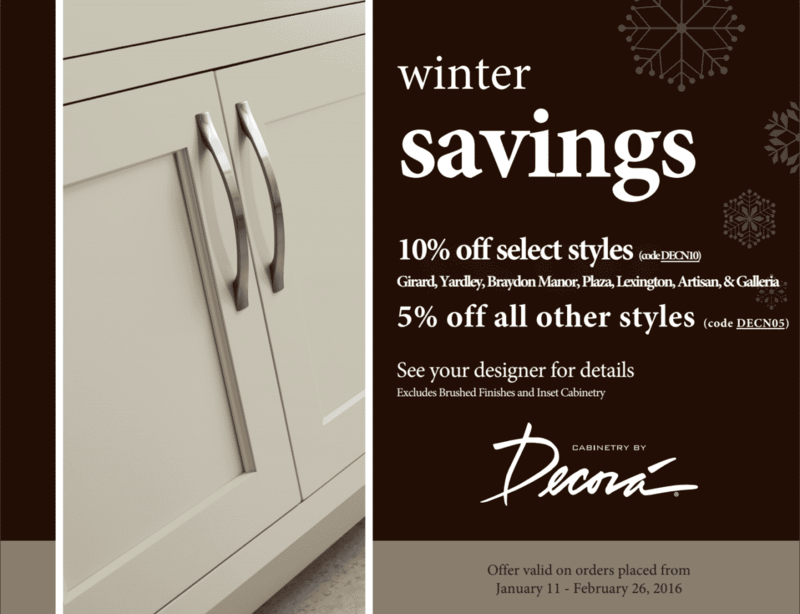 Enjoy 10% off select styles, 5% off all other styles of Decora Cabinetry for a limited time only. Every Decora Cabinet is sustainably handcrafted in Jasper, Indiana, an American woodworking and furniture-making capital since the 1800s. Our team is excited to help you bring Decora’s quality cabinetry into your home renovation project, get started today!